From Ferguson to France, pliable racial categories are used to mark who counts as fully human—and who does not. Woody Deant's 15-year-old mugshot was used by North Miami Beach Police as target practice. Amedy Coulibaly, the man in question, was in fact French. He was born and bred in France, if at the conceptual distance of the miserable banlieues to which the French have confined so many of their darker-skinned residents. While it is true in some general sense that Coulibaly was “African-descended,” that literally whitewashes the degree to which his murderousness seems to have erupted against a very particular colonial backdrop. Coulibaly’s parents were born in Mali (although the press widely referred to his background as “Senegalese”). His wife, Hayat Boumeddiene (seen by many in the United States as “white”), and his co-conspirators, the Kouachi brothers (honestly, I was waiting for someone to call them “Hispanic”), were all of Algerian descent. Coulibaly and the Kouachis spent some of their childhood in French orphanages or foster care. Therefore, it is probably a little bit useful to wonder if the attractions of ISIS for disaffected French youth lie not in perverse teachings about Islam alone, but in the blowback from France’s failed policies of racial and ethnic integration and the scars of its wars in Africa. Furthermore, racialized American policing strategies are increasingly global exports. In France, debates rage about whether to adopt a version of the USA Patriot Act. Technologies of surveillance now deploy algorithms based on American demographic taxonomies that are deeply contentious. Rudolph Giuliani, Bernard Kerik, William Bratton and Ray Kelly have made millions traveling the globe to dispense advice about controlling unruly populations, from London to Mexico City. The European Union surely has its own problems with race and immigration, but I fear they won’t be improved by having the morning lineup of Fox News as its security advisers. In fact, one glimmer of hope in this messy moment was the pushback after Fox News’s “terrorism experts,” Steven Emerson and Nolan Peterson, asserted that the entire city of Birmingham, plus large parts of Paris and London, were “totally Muslim,” including “no-go” zones where even the police dare not visit. British Prime Minister David Cameron called Emerson an “idiot.” The mayor of Paris threatened to sue. In many parts of the world, the Charlie Hebdo massacre has led to thoughtful discussions about freedom of expression, the power of caricature and the provocations of symbolic language. But we Americans tend to use the concept of freedom of expression as an excuse to say anything at all, no matter how false or threatening, even as we clamp down thoughtlessly (and mercilessly) when it suits us. So, on the one hand, we have Pennsylvania’s recent “revictimization” law, which allows the prior restraint of speech if it might cause victims of personal-injury crimes to experience “continuing effects,” including temporary “mental anguish.” On the other hand, some have used the First Amendment to defend the actions of the North Miami Beach Police Department, whose sharpshooters were discovered using photos of black arrestees for target practice. A National Guardswoman visiting the range recognized her brother among the images; fifteen years ago, he’d been arrested for drag-racing. 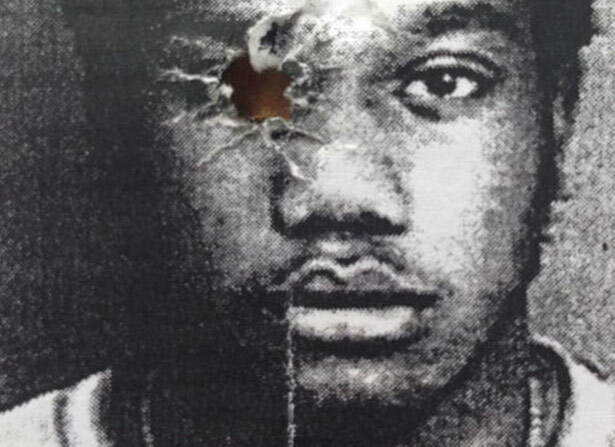 His photo had two bullet holes—one in the forehead, the other in the eye. The department responded that it has to train officers with pictures of real faces—and that it’s useful if they share similar characteristics. After a bit of reflection, the department apologized and added that the officers also take aim at mug shots of Anglos and Hispanics. Online commentary bubbled about whether it was a big deal or nothing at all. It was just a bunch of images, like the Danish cartoons! Don’t be so politically correct! No actual humans were harmed in the making of these bull’s-eyes. What perverse iconography. How does this not break the heart, those head shots of real black men—whatever they have done—posed for figurative execution? In a very moving response, a largely white group of local clergy flooded the police with their own photos, launching a Twitter campaign, #UseMeInstead. The tag #BlackLivesMatter has resonance, from Ferguson to France, precisely because it has an ironic edge: lives designated as “black” too often don’t seem to matter at all. I hope that the simple, eloquent appeal of #UseMeInstead becomes an invitation to think about who is included or excluded in the deadly yet pliable ways that we mark the boundaries of citizenship and statelessness, of friend and foe, of human and other, of the unremittingly feared and the eternally forgiven.